In the new work spotlight this week: Remix Colorful Mandala, a contemporary, geometric mandala in pastel shades of pink, purple, yellow, and orange. Shown above, wall clock in natural with white hands, available in my RedBubble shop. 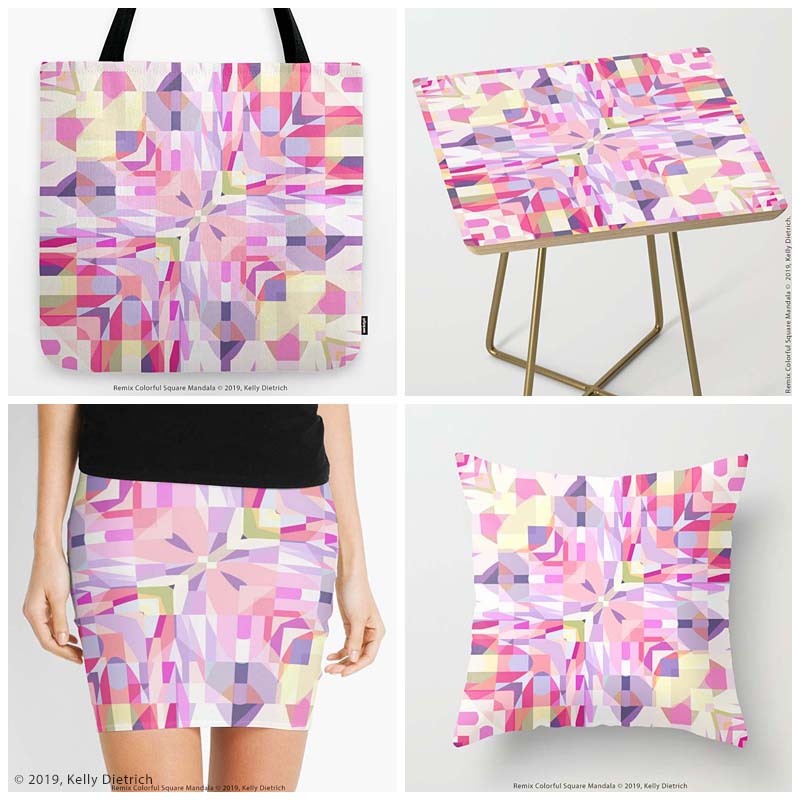 See all my product lines in my shops here › Curioos | RedBubble | Society6. 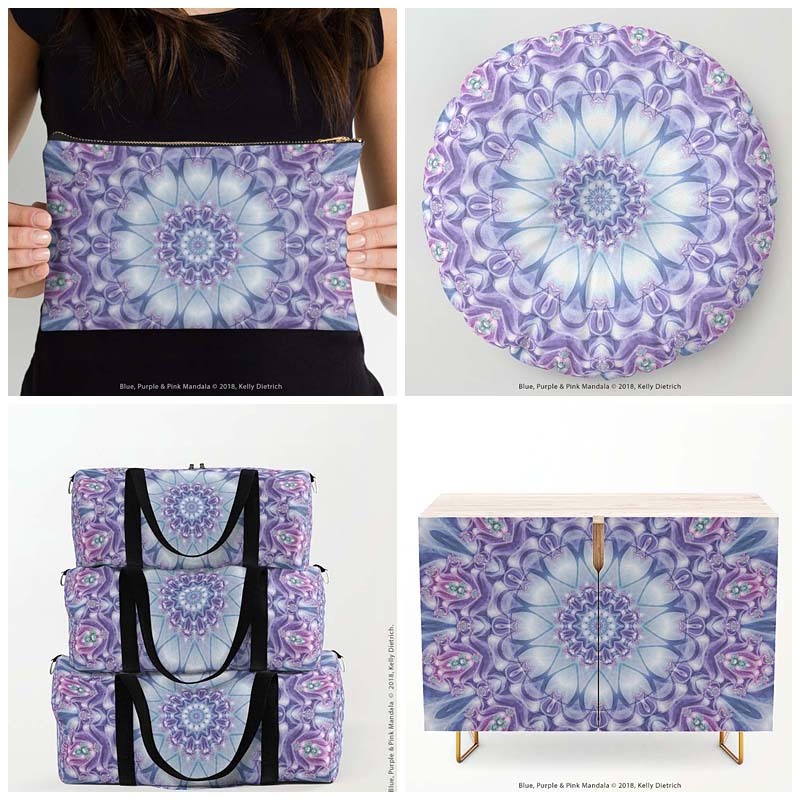 To get a quick peek at a handful of my products with this design, see the images below. 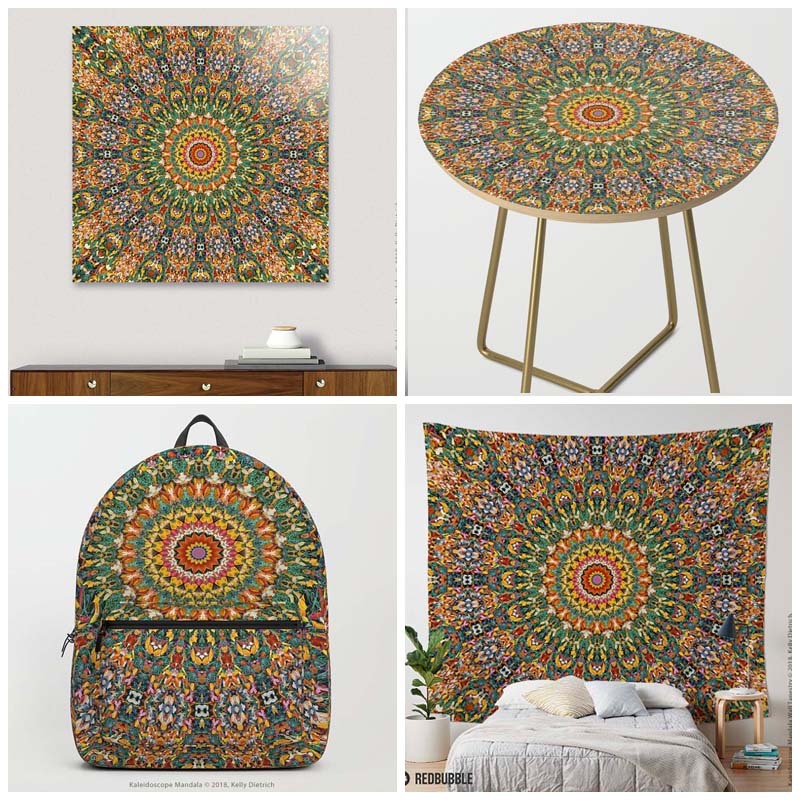 Listed clockwise from the top left: 18” Tote Bag from my Society6 shop, Square Side Table from my Society6 shop, 20” Throw Pillow Cover from my Society6 shop, and Mini Skirt from my RedBubble shop - all in the Remix Colorful Mandala design.